The new customer portal is here! A Customer Portal for online payments is something our customers have been asking for, and we are very happy to announce that it’s finally here! 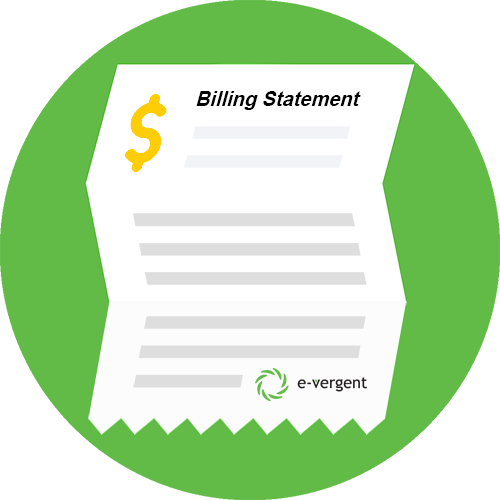 In the past, you had to either call in with a credit card or send a check to pay your e-vergent bill, but not anymore. Now, you can simply login online to view your past bills, make payments, update payment options, and view your current services. If you haven’t already registered to use the Customer Portal, you’ll need to call us to set up your login. You can reach us at 262-884-2040 Monday – Friday, 8am-4:30pm. The call will only take a moment, and if you already have your password chosen, it’ll be even snappier. Your password requires one capital letter, one number, and one special character. We want to keep your personal information safe, so these criteria are vital. If you’ve already registered for the portal, you can head straight over to billing.e-vergent.com and login. If you want to change your password after the initial setup, you can do that yourself from within the Portal.